Hi everyone. As anyone knows, any type of recuperation process is difficult, time consuming, and sometimes overwhelming. 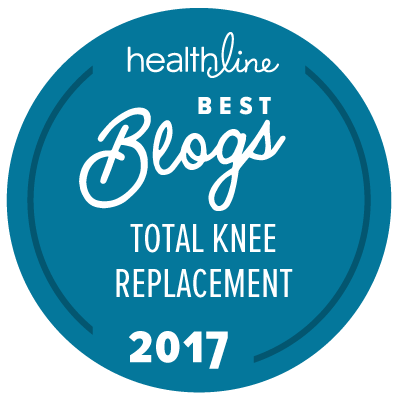 This is especially true with a tkr (total knee replacement). With all the exercises, lack of sleep, and hard work involved, it is too easy to get caught up in our individual situation. We must focus on the positive and start finding inspiration during recuperation. It’s always informative reading through comments posted throughout this site. There seems to be an underlying theme found in most of the posts. That theme is inspiration. Most people find it from some source or manner. It all varies with the individual. I was in a body cast, visiting the doctor monthly. The doctor’s appointment was the only time I got out other than to walk the block daily. One time, after much pressure, I went on a date as a diversion. If you think dating is uncomfortable in everyday life, try doing it in a body cast. Ha! Anyways, I was back at home all wrapped up in myself and my current situation. I needed hope. I needed to know that more existed than my continual, miniscule steps toward learning how to independently walk again. One night I turned on the television and there was Jacques Cousteau. Back then (the 70’s) he had an hour-long show on Thursday nights. It was known as the “Undersea World of Jacques Cousteau”. Each episode focused on introducing us to one ocean-dwelling marine species. Suddenly, my perspective changed. It gave me something to look forward to. What was I going to learn next? Here I was one single individual (a small speck on the earth’s surface) learning about an entire species. I was also learning how that same species was under attack by human encroachment. I saw the marvel of lobsters walking single file over the ocean’s surface by using telepathic communication. At the end of the episode we heard about how the lobster industry hones in on, and disrupts, this natural process. It is prime commercial lobstering time. I learned about the wonderful, peaceful manatees and how they are affectionately known as the “gentle giants”. They were a sight to behold. At the end of the episode we learned about how boat propellers were damaging/killing them. I remember an episode about killer whales. We learned about these beautiful wonders, their intelligence, communication skills, and other magnificent insight only he was capable of presenting so compellingly. Then, he started discussing these mammals being kept in captivity. Cousteau emphasized how it was only a matter of time before these majestic creatures rebelled. Have you seen the movie Black Fish? Case closed. Every episode featured the Calypso, his research vessel. The Calypso was a converted WWII mine sweeper. After my recuperation process ended, I became a proud member of the “Friends of Calypso”, a group of supporters who kept the Calypso operating. I hung my Calypso flag proudly on my wall alongside my welcome letter, progress updates, current journey news, research projects, and other paraphernalia. It was a continual source of inspiration. In conclusion, be sure to find something that takes you outside of yourself. Be inspired. It will improve your motivation, outlook on life, and enhance your body’s healing capabilities.